The First Impressions Preschool at South County Baptist Church has been providing quality care and services for more than 20 years. Our program provides a safe, warm, and caring Christian environment where children can learn and develop as individuals. Parent conferences, progress reports, monthly letters, and calendars are among the many ways in which we keep parents involved and informed. Developmentally-appropriate learning centers are available as well as daily activities that are planned by our responsible and nurturing staff to develop language, social, and physical skills. We also have regular Chapel services with the Pastor and Bible story times throughout the week. We want the children's First Impressions of life to be focused on Jesus. Cost is $115 per month for 2-days per week and $150 per month for the 3-days per week program. 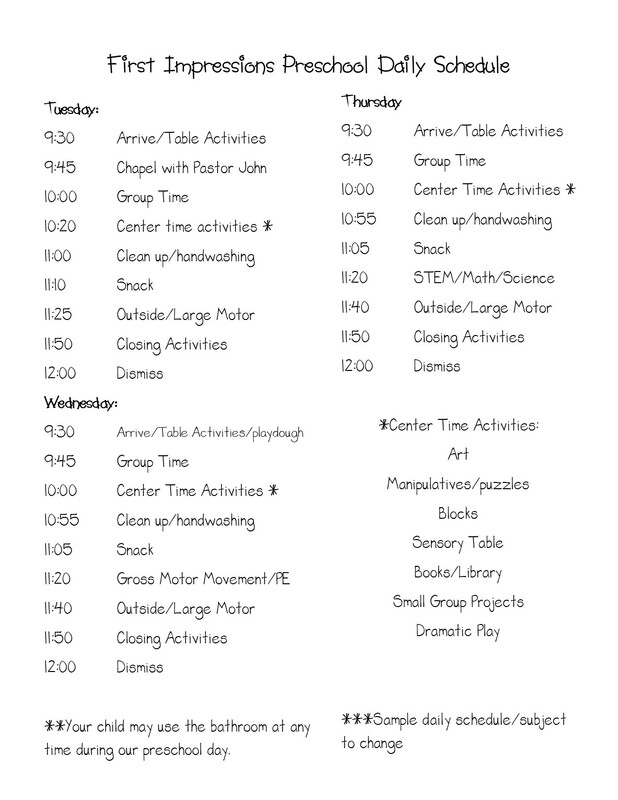 The Pre-Kindergarten class must choose the 3 day option and the Preschool class has the choice of 2 or 3 days. Classes meet on Tuesday, Wednesday, and Thursday from 9:00 a.m. until Noon and, other than the beginning and ending dates for the FIP year, the school follows the Lindbergh School District calendar for holidays and snow cancellations. 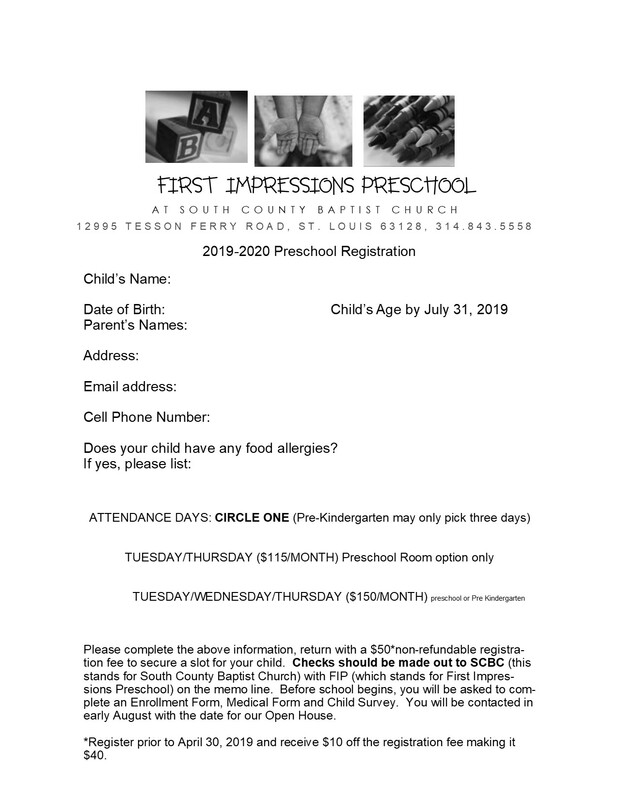 If you would like to enroll a 3 or 4 year-old child, or for more information on First Impressions, please contact Christine Franck at 314.843.5558 or click HERE to email her.